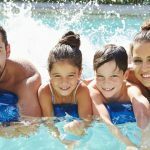 Looking for ways to save money on heating your swimming pool’s water is a wise move for any pool owner. 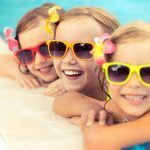 The previous article in our series explored some of the ways that you can harness the warm rays of the sun to heat your pool water for free. Aside from your initial investment, these products will continue to help your pool conserve heat with minimal additional cost to you. We’ve already taken a look at liquid solar pool covers and solar rings. The next solar-powered item we’ll focus on is a solar cover. Solar pool covers work similarly to solar rings, but instead of covering sections of the pool, they’re designed to cover the entire pool surface. This extra coverage can make a huge difference when it comes to retaining heat in your pool water. 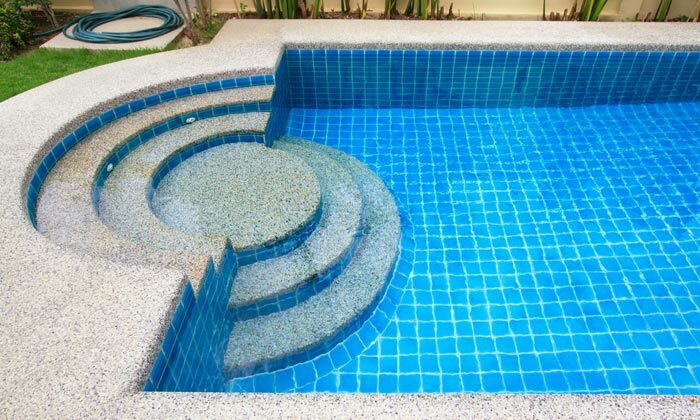 The main reason why your pool’s water gets colder than you’d like it to be is simply water evaporation. 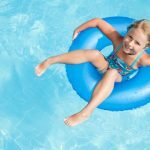 During the day, when the outside temperatures rise and the sun’s ultraviolet rays shine down on the water’s surface, water will naturally start to evaporate from your pool. On windy days, the water will also be cooled considerably each time more of the water is exposed to the air surrounding the pool. 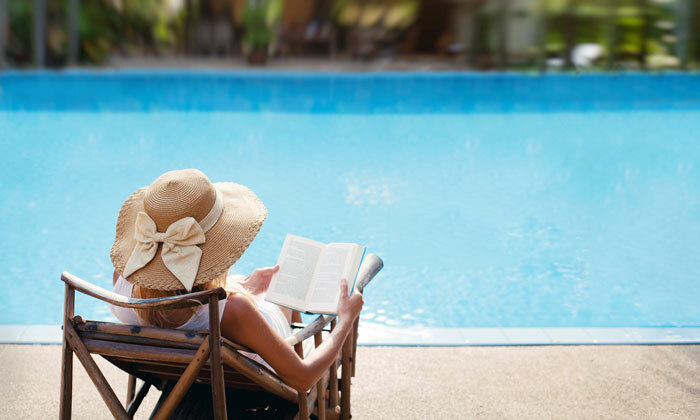 Your pool’s solar cover can serve as a shield protecting it from the effects of these evaporation-inducing elements. That’s not all your solar cover can do. It can also absorb those warm sun rays that would normally cause evaporation. Instead, they’ll channel that heat right into the water, helping to keep it warm for comfortable swimming. When you’re ready to take a dip, you can just remove the light-weight cover and climb right in. 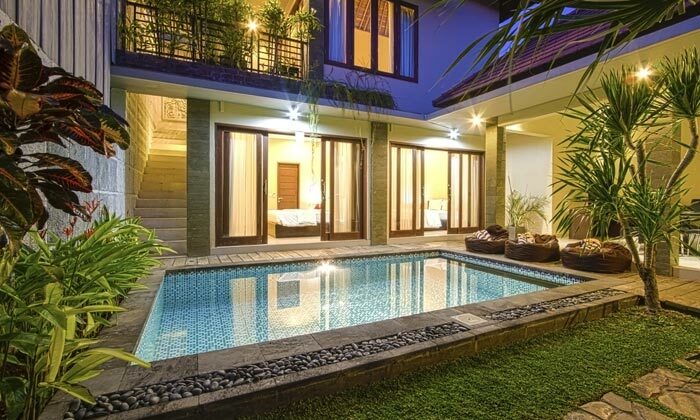 After you’re done swimming, you can just quickly recover the pool. It’s that simple. One important word of caution is in order. Solar pool covers should not be used for safety as a way to try to prevent pets or children from getting inside the pool. Since they just rest on top of the pool’s surface, they won’t be effective at keeping anyone out of the pool. Though solar covers will help keep some debris out of the pool, they’re not 100% effective at that task either. Dirt, dust, and leaves could still make their way into the pool and accumulate around the edges. These covers are designed strictly to keep the water warm and prevent evaporation, and they’re very good at accomplishing that job. If you want a pool cover for safety or to keep debris out of your pool, you should look for ones that are designed for those purposes. So how do solar covers compare to liquid solar covers and solar rings that were mentioned previously? Solar covers are actually the most effective of the three methods when it comes to heating your pool and preventing evaporation. Though solar rings are less expensive individually, you may need to purchase more of them to provide for sufficient heating, in which case a solar cover would make better economic sense. Solar covers are a bit more of a hassle to work with than the small solar rings which are easy to toss in and out of the pool and don’t require careful measuring before purchase. 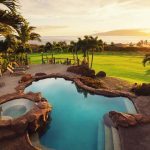 The liquid solar cover is probably the least expensive and most hassle-free of the three options, but it also doesn’t work nearly as well to keep your pool water warm. 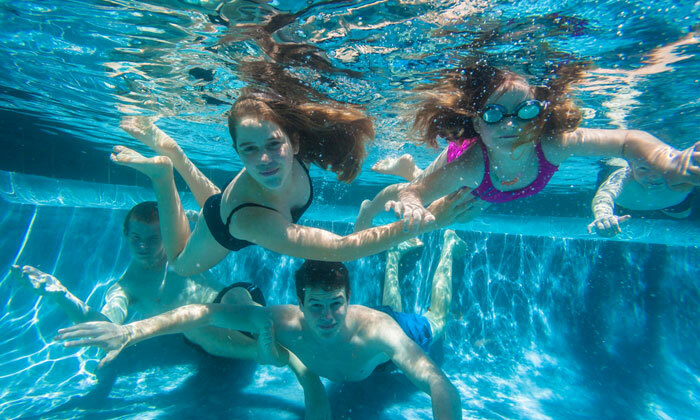 In our final article of this series, we’ll take a look at a smart way to heat your pool using a solar-powered device that isn’t only used for pools. This handy, inexpensive garden item is great for helping to cut your pool heating costs.